J is a lovely guest from Singapore. She’s 41 years old and works in the highly stressful field of IT, but has been practicing yoga for two years. Yoga is one of her passions and she became intensely devoted to the practice for health improvements. 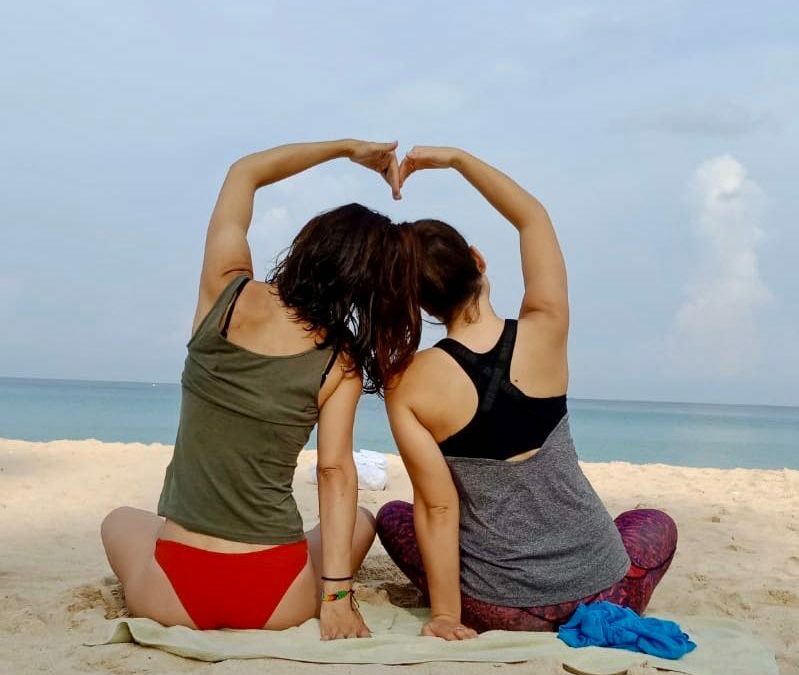 So while already healthy, for J the goal of attending the Yoga Retreat was to deepen her existing yoga practice and gain more understanding of what yoga is all about, not just the yoga poses and asanas part of the practice. What’s happened during the program? One thing to note is that during the retreat, J was very determined and devoted. She was extremely eager, and used this time to listen to her instructors which was definitely crucial to her success. During her initial orientation, it was decided that J would focus on strengthening her existing practice, work on strengthening her upper body and learn tools on how to build up a better self-practice. As the retreat includes yogi talks, J and her instructor decided together on two topics which were the Yamas and Niyamas and how we can incorporate these guidelines into our life in order to find balance, peace and harmony within. Over the course of three lessons, J and her instructor ensured that she got the most from her retreat program. Lesson 1 focused on getting to know J’s body, her weaker and stronger points, her likes and dislikes. Lesson 1 was a useful, general assessment of the student. Lesson 2 focused on building up upper-body strength and sharing various tips, movements and poses that can help build up strength in that part of the body. Easy arm balancing postures have been workshopped and taught. Lesson 3 focused on Yang and Yin in yoga class. Focused on strengthening the knees (the guest has reported experiencing pain in the knee joint doing some physical exercises), workshopped a few asanas, alignment techniques and movements to protect and strengthen the affected area. Then, the yin yoga asana was practiced and a body scan meditation was given. J’s personal schedule was varied and allowed time for self-reflection and self-pampering. 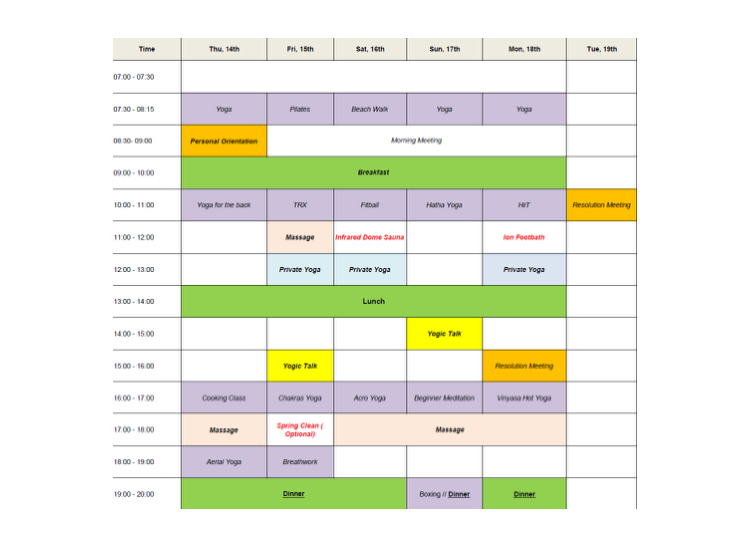 Here is a reference to J’s schedule to better understand how her days were structured, and how your days might be structured if you choose to take a Yoga & SPA Retreat at Santosa. The program was very successful for J, and she followed it well during her stay with us. She is super active, dynamic and fluid, which made it really easy for her to join in any physical activity or classes at Santosa. One takeaway J intended to focus on was the beauty of stillness and the quietness of the mind. J gained a lot of confidence in the 5 days that she was with us and became much more aware of her posture and began the process of improving it. She incorporated many of the things she learned during her retreat into her practice. During her stay, she joined all our morning meetings in which we offered plenty of healthy topics related to detox, diet, life style… She showed high interests in coming back for a Juice Fast Program. We look forward to meeting J again in future. 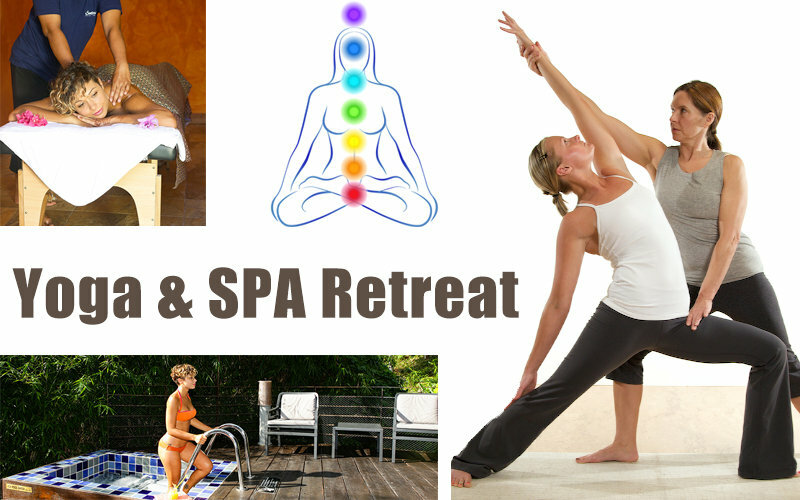 Are you ready to transform your life through a wonderful Yoga Retreat? For more information, simply fill out the inquiry form below and a member of staff will get back to you. We look forward to welcoming you to Santosa in the near future!